Bob Harris continues to celebrate the 40th anniversary of the classic music TV show. Part ten includes new sessions from Neil Finn and Hazel O'Connor, and archive U2. Bob Harris presents part ten in this series celebrating the 40th anniversary of the classic music TV show. Split Enz and Q Tips were two of the bands that appeared during the series that ran from October 1980 through to July 1981. In fact, they appeared on the same show (22nd November 1980). 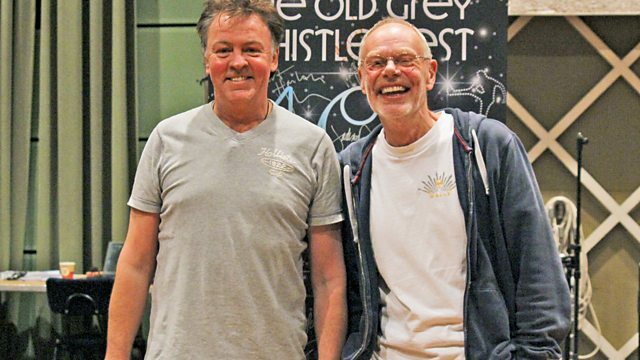 Paul Young joins Bob Harris in the studio to talk about the Q Tips performance and his transition into a solo artist. Neil Finn plays a new acoustic version of one of the songs Split Enz performed that night. There's further live music from Hazel O'Connor, who sings both something from her latest album and a classic from the Breaking Glass soundtrack. Amongst the archive material is the debut Whistle Test appearance from U2. Wilko Johnson and his band are on hand playing a new session and talking with Bob about his days with Dr Feelgood and becoming a member of the Blockheads. There's also a live archive concert performance from Ian Dury and his band, originally broadcast on the show on Christmas Eve 1980.